Honda has already started to up the game recently by filing CARB Homologination in California for new CBR6000RR. 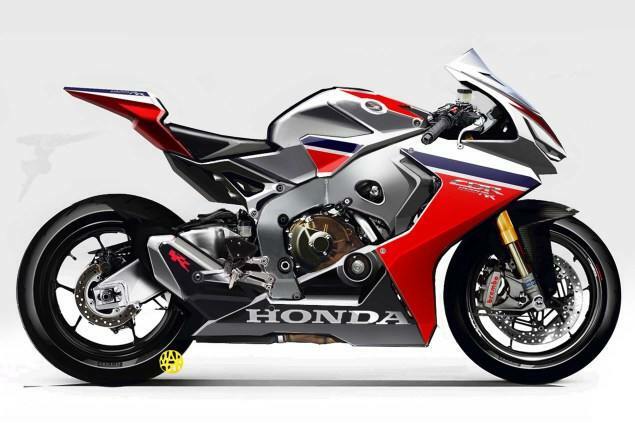 Apart from this we have also heard that Honda is coming up with V4 project ( patents for V4 ) which is altogether a different from its new CBR1000 Fireblade project.This blade will take a bow in this November’s EICMA show in Milan as per sources from Japan. When every other motor manufacturer is pushing the benchmark by passing the 200hp it becomes evident that Honda too has to scale up and this is the answer.And it’s going to do it by a big margin if our Japanese information is correct. Insiders say the next Blade is already well advanced in its testing and makes an incredible 215PS. That’s 212hp in more familiar terms. Or, to put it another way, it’s 1hp more that the current superbike top-dog, Ducati’s Panigale V4, can manage. Details of on how it is going to achieve the power is still behind the curtains but its going to get all new engine and frame. This blade will feature central air duct between two headlights in above picture. The same technique has been used by rivals.Back in 2007 the same technique by Honda was used in CBR600RR which means Honda is familiar with this technique and wont have any problem setting it.Pros of this technique are in terms of routing high-pressure air to the airbox. While there are rumors that Honda is working on V4 project and this will be separate project called as “RVF1000” and at the moment we are not aware whether Honda has received a go ahead for this project to bring it in production. What is ride by wire technology? The trend in the superbike/supersport scene is now to offer a more limited edition “race homologation” model, which adheres to the confines of the racing rules, while also offering a “street” variant that allows designers and engineers more flexibility when chasing weight and power figures. While the patents filed by Honda for V4 few years back talks about semi-monocoque-framed design, similar to Ducati’s Panigale, allied to a version of the RC213V-S’s MotoGP-derived engine. 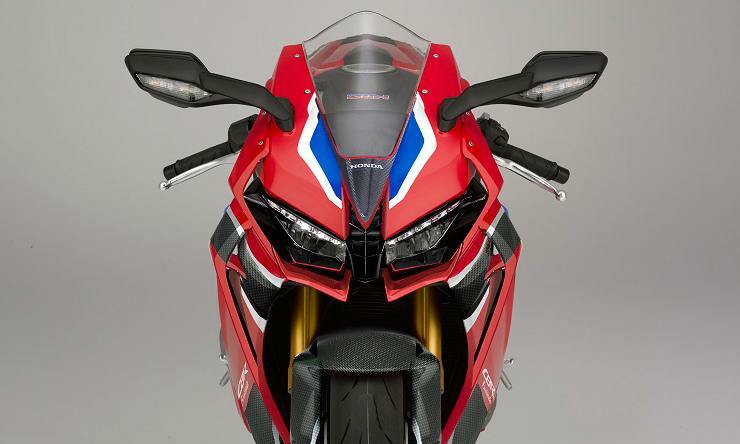 Those patents explain that the new chassis – made of cast aluminium – will allow to ease mass production and to bring down the costs compared to the original, more expensive RC213V-S.
Now if puts the V4 in production it is going to be change catalyst for the company by putting the company back into its original position when Fireblade was launched in 1982. The next-gen Blade is set to appear at EICMA this November, if our sources are correct. This will come shortly after Honda’s 70th anniversary as a company. It was incorporated on 24 September 1948, and it’s long been rumored that there will be at least some special new models released to mark the occasion.